California Public Utilities Commission lawyers urged two administrative law judges Tuesday to recommend fining PG&E at least $300 million, to be paid to the state’s general fund, for thefatal pipeline explosion in San Bruno in 2010. The fine is part of a proposed $2.25 billion penalty, and the division also recommended that most of the penalty be used to reduce the portion of PG&E’s pipeline repair and upgrade costs paid by customers rather than the portion shouldered by shareholders. The $300 million fine, if eventually approved by the commission, would be the largest in the agency’s history, lawyers for the commission’s safety division said in a filing at PUC headquarters in San Francisco. “The tragedy in San Bruno, which was directly caused by PG&E’s unreasonable conduct and neglect for decades, was the worst disaster in the history of California electric and/or gas utilities. “Therefore, (the division) is recommending a minimum fine of $300 million that PG&E must pay to the general fund,” the attorneys wrote. 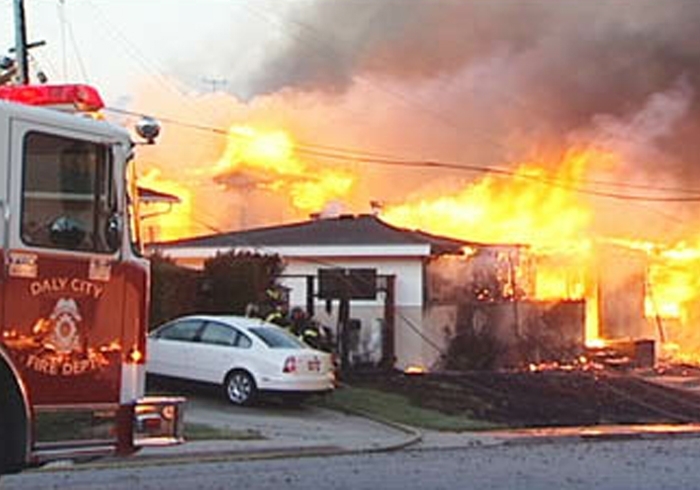 The natural gas pipeline explosion and subsequent fire on Sept. 9, 2010, killed eight people, injured 58 others, destroyed 38 houses and damaged 70 other buildings, according to the PUC. The total penalty of $2.25 billion is the same as that proposed by division director Jack Hagan in June, but the difference is that the previous proposal would have allowed PG&E to use most or all of that amount to cover shareholder expenses for repairs and improvements. The former proposal, submitted by Hagan alone, was surrounded by a controversy over the fact that lawyers who had worked on the case for two years were reassigned or resigned shortly before Hagan’s June 5 filing. Three weeks later, the commission, saying “we are aware of recent issues surrounding staffing of CPUC attorneys,” reinstated the original legal team. That team announced last week that it would revise the penalty proposal, and the revision was submitted jointly by Hagan and the attorneys today. PG&E has until July 25 to respond, and other participants in the case, including the city of San Bruno and The Utility Reform Network, a consumer group, can submit briefs by Aug. 1. Administrative law judges Mark Wetzell and Amy Yip-Kikugawa will recommend a decision to the full commission, which will have the final word on the utility’s penalty. PG&E criticized the proposed penalty as being too onerous, while San Bruno and TURN praised it. “In its zeal to punish PG&E, the staff of the CPUC has lost sight of our important shared goal of making PG&E’s natural gas operation the safest in the country as quickly as we possibly can,” said Tom Bottorff, PG&E’s vice president for regulatory affairs. Bottroff said the fine would take $300 million away from safety improvements and that placing a large financial burden on shareholders would impede the company in obtaining needed capital. “It is difficult to understand how the CPUC expects PG&E to attract the capital necessary to maintain the extraordinary investment in safety currently under way, or raise billions of dollars more for safety improvements mandated by the CPUC,” Bottorff said in a statement. Ruane said the city will continue to advocate additional remedies, including the establishment of an independent safety monitor and a requirement for automatic shutoff valves. “PG&E should not have been allowed to call the shots in the first place. It seems obvious that penalties should reduce PG&E’s profits, rather than cushion PG&E’s shareholders,” said TURN legal director Tom Long. TURN spokeswoman Mindy Spatt said that penalty funds credited to customers under the revised proposal would result in smaller future rate increases, rather than in current refunds. The revised proposal would allocate $1.515 billion to cover costs assigned to consumers, including $1.169 billion that the commission previously authorized PG&E to recoup from ratepayers. The plan would also allocate $435 million to cover costs assigned to shareholders. The remainder of the penalty would go to the $300 million fine. Britt Strottman, a lawyer for San Bruno, said the administrative law judges’ recommended decision is expected in late summer or early fall. That determination could be appealed within the PUC’s legal division, which could take several months, and after that the case would be submitted to the commission for a decision, Strottman said.